Welcome to Action Transmission Specialists! Transmissions are your vehicle’s most complicated repair. Most owners know that they need a professional to handle their transmission services. 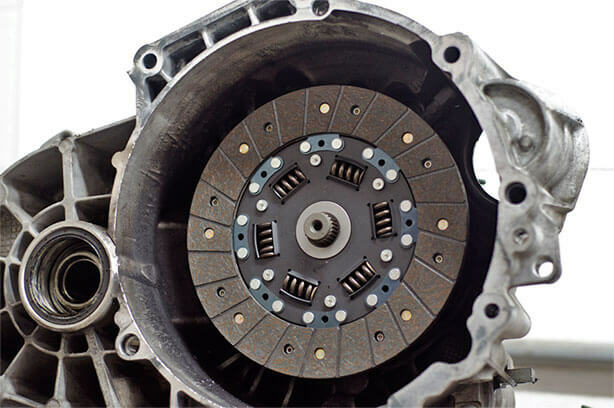 But they don’t realize that a quality transmission repair or service requires a “specialist.” Action Transmission Specialists in Jacksonville, FL is the preferred alternative to returning to the expensive dealership. The importance of an accurate diagnosis for your transmission can not be overstated. You can trust us with any of your automatic or manual transmission repairs or replacements. Even confident do-it-yourselfers will stop cold at a transmission service. In fact, many shops will refer their complicated transmission services to our specialists. We’re honest auto repair technicians, not salesmen. Your vehicle, your budget, and your overall auto repair experience are most important to us. Our team uses state-of-the-art tools and equipment to provide quality transmission maintenance services. Action Transmission Specialists are highly trained and experienced at performing all of your vehicle’s routine maintenance. Bring your car, truck, or SUV to our shop on a consistent basis and we’ll keep you two steps ahead of any repairs or breakdowns. We have you covered from end-to-end and know how to treat your vehicle like it deserves to be treated. That means, no unnecessary repairs or low quality replacement parts. Our team knows how to enhance your vehicle’s performance and extend its road-life. We’ve been Jacksonville’s expert transmission provider for decades. Save yourself some time, money, and stress by coming to us first! We’re the transmission repair specialists that you can trust. It all starts with our accurate diagnosis to find out exactly what’s happening with your transmission. The problem with many general repair shops is that they’re either playing a guessing game with your transmission, they’re misdiagnosing the problem, or they’re charging you for unnecessary service. Our qualified technicians take our time to get to the root of the problem. Without advanced technologies, diagnostic equipment, and experience it’s difficult to solve a transmission problem with minimal services. Just because a shop is quoting you for an expensive transmission rebuild, valve body replacement, or cluch repair does not mean that’s the final word. Feel free to come to us for a second or third opinion, especially when it comes to your transmission service. Give us a call today at 904-744-0755 to schedule your appointment. You can save some time by scheduling your service right now using our convenient online scheduling system. Next time you’re in the area, feel free to stop by with any questions, concerns, or a diagnostic service that’s free with any repair. I have been completely satisfied with my transmission rebuild on a 2004 Pilot with 4WD. They beat the dealer estimate and were helpful in explaining the problems and the upgrades included in the work they did. At 170K + miles now and the excellent service I received, I expect my transmission to last until I plan to sell it at 300K miles. I recommend Action and thank them for their honesty and competency.